Take a musical ride back to the roaring '80s where big hair and tight pants spawned some of the most memorable party anthems of all time. 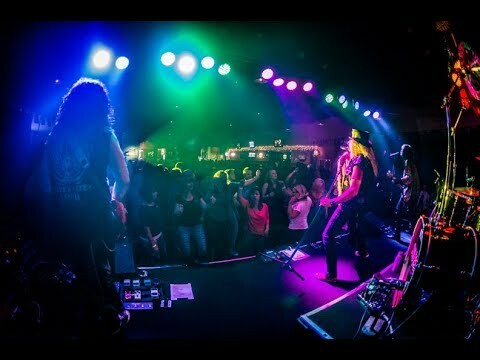 Skid Roses entertains audiences of all ages with the signature party rock classics that defined the Decade of Decadence. Hired Skid Roses for my party. I have received nothing but fantastic coments about the band. They were right on time. Had all the equipment they needed. Sounded and looked fantastic. They brought their "A" game. Great group of guys to work with. Thank you Skid Roses for an outstanding time. If you want a party, bring in Skid Roses! 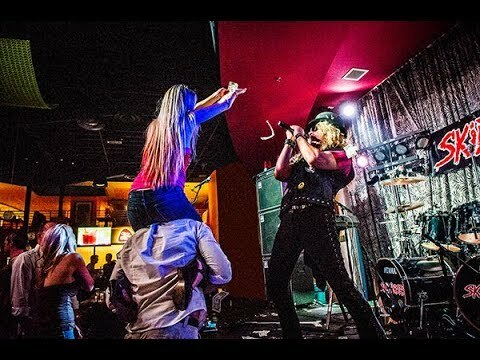 After booking them several times, I know that I can always count on Skid Roses to put on a great show. They look like they stepped right out of the ‘80s and onto the stage. The songs are all the hits you’d expect from the era played with the kind of energy that gets people dancing and then drinking. Do yourself and your customers a favor, hire these boys for a great night. SKID ROSES are a pleasure to work with. They arrive prepared and on time every time. 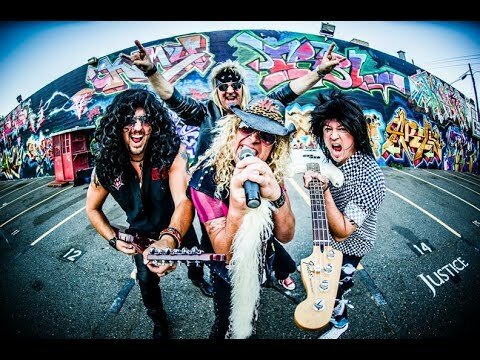 Most importantly, they deliver exactly what we expect – a ridiculously FUN tribute to ‘80s hair bands. They look great and sound even better. They play a huge selection of hits and always make the audience as much a part of the experience as the band. 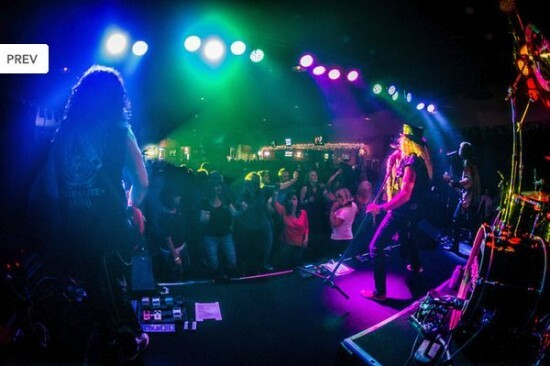 We book SKID ROSES several times a year and they wow the crowd every time. 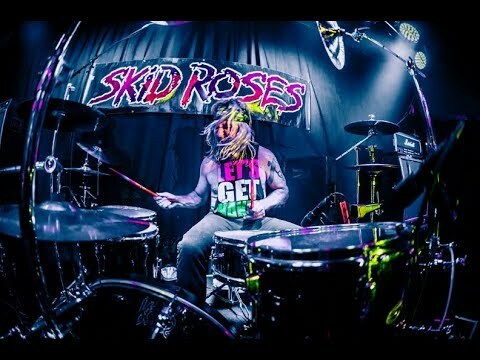 We love Skid Roses! Always professional. They show up on time, no hassles and they deliver a solid punch of Rock. They get people out of their seats and dancing. The songs are spot on and their attention detail is appreciated. Their shows are just phun (that's no ordinary fun). Their costumes, their look and even the chatter between songs take you back to the 80's. They're a party on stage and everything they do is infectious (in a good way). Skid Roses Rock and so will your event when you bring them on board. Be a hero and hire Skid Roses for your party, club, bar or Bar Mitzvah. Thank you boys for the good times. Cheers to Skid Roses!